Truly a unique and perfect location. 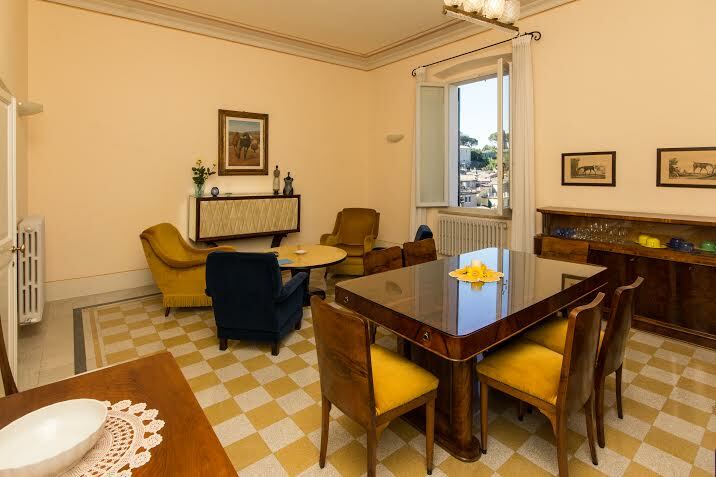 The apartment has stunning views over the wonderful rolling landscape including Montesanto Monastery and in its near view, the rooftops and old historic buildings of Todi and of course enjoys the privileged location, surrounded by all its ancient buildings and museums, cathedral and churches, cafe bars and restaurants and shops. 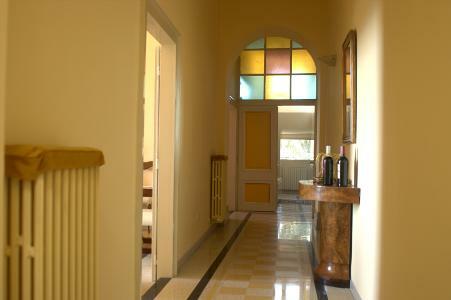 Entrance to the apartment, located on the third floor, is via the grand noble doors that sit on Todi's Piazza del Popolo, The apartment has an outer double door into a reception area and then via double doors, entry into the apartment. 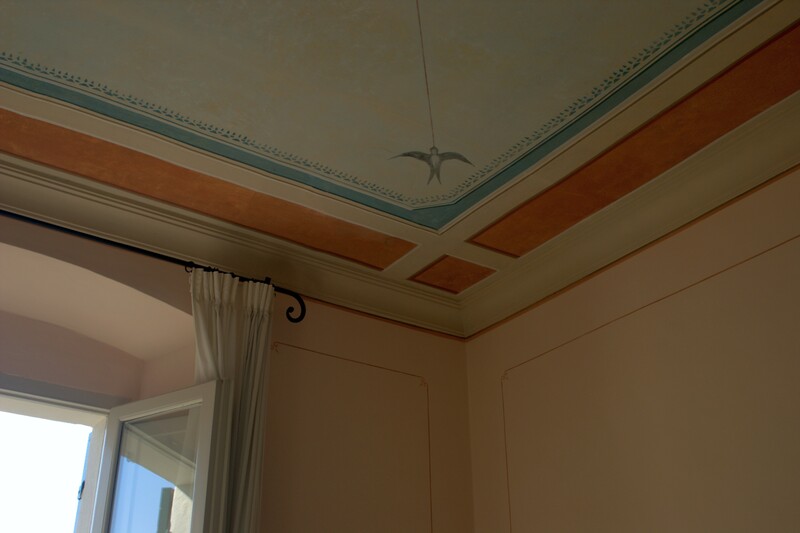 The apartment is finely decorated with stencilled ceilings and walls throughout and includes beautiful period furniture and furnishings. The apartment is very spacious and full of light with large shuttered windows - interior and exterior. A beautiful large hallway goes the entire length of the apartment, all on one level. 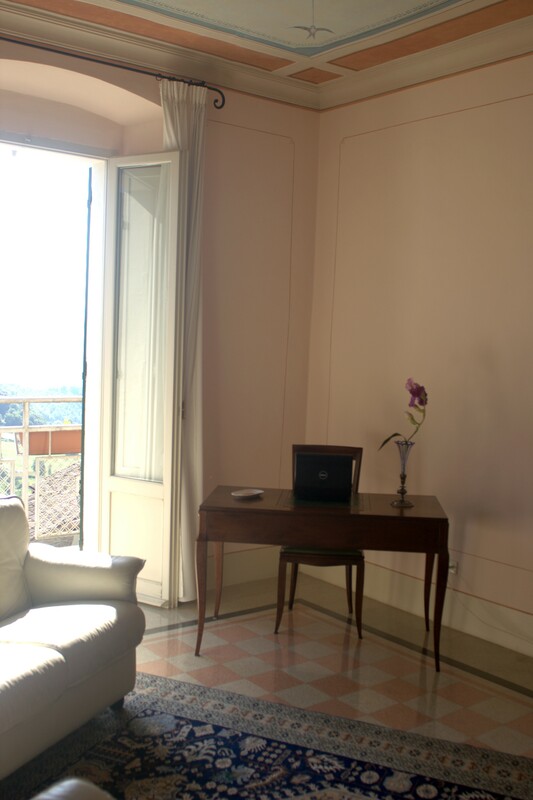 The lounge.has French doors that open out onto the long balcony, with the wonderful views of Todi's landscape. There are 2 leather sofas which convert into sofa-beds if desired, writing desk and chair with new flat screen tv and dvd. The apartment has wifi. 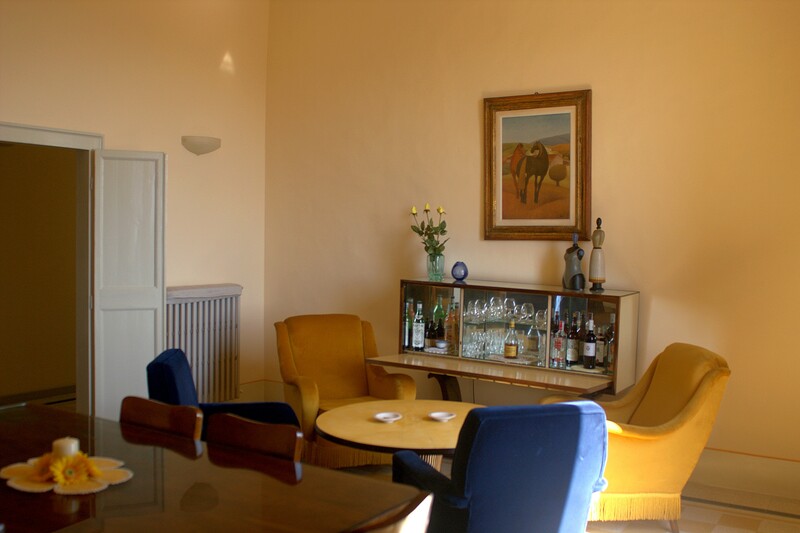 The spacious dining room consists of a large rectangular wooden table to seat 6, plus 2 wood side units containing dishes/glasses etc., There are also 4 velvet upholstered relaxing chairs around a circular table and a drinks cabinet. 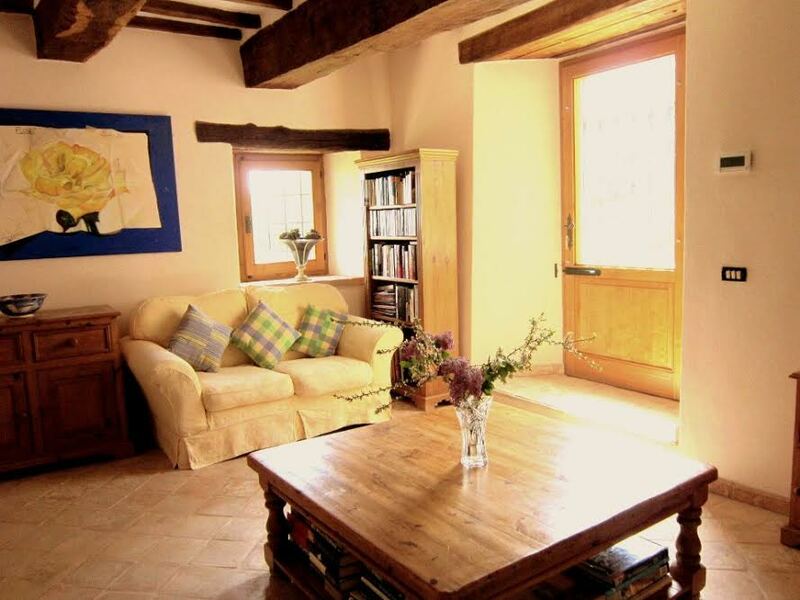 The large window looks out onto the beautiful countryside. The bedroom contains a king size bed, upholstered velvet relax chair, double wardrobe with inset mirror chest of drawers and large unit for linens/towels etc. 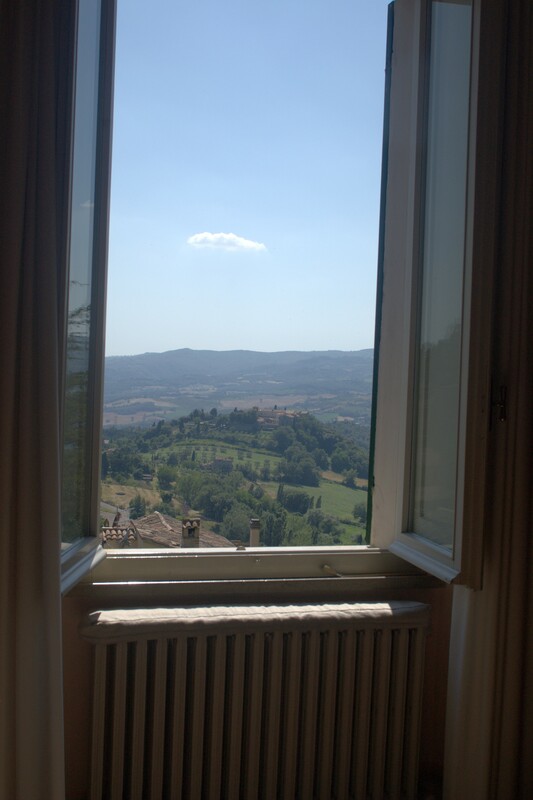 The bedroom has 2 large windows, one overlooking the panorama, the other view is that of Todi's duomo and ancient piazza buildings. 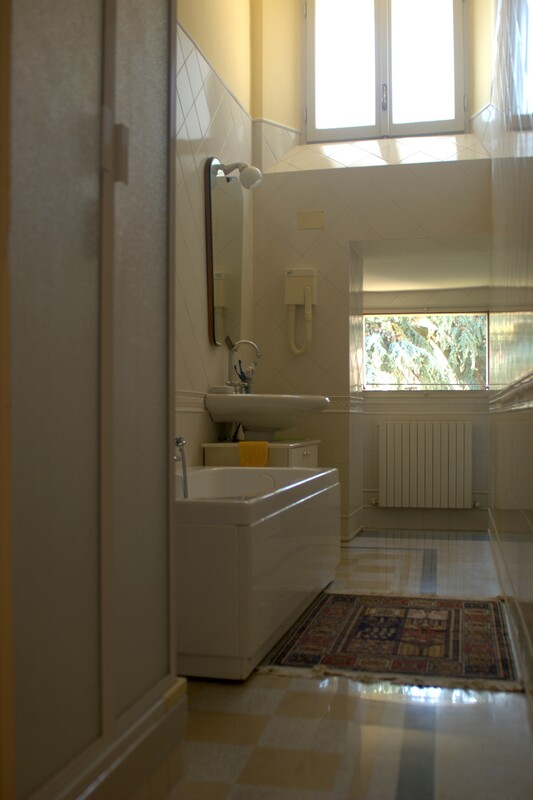 The long bathroom consists of bath tub and shower, bidet, toilet and wash basin and separate wash basin for possible hand washing. The washing machine is located here. The kitchen is fully fitted with gas hob/electric fan oven/dish-washer/refrigerator and freezer box. All kitchen utensils and electric kettle and toaster. 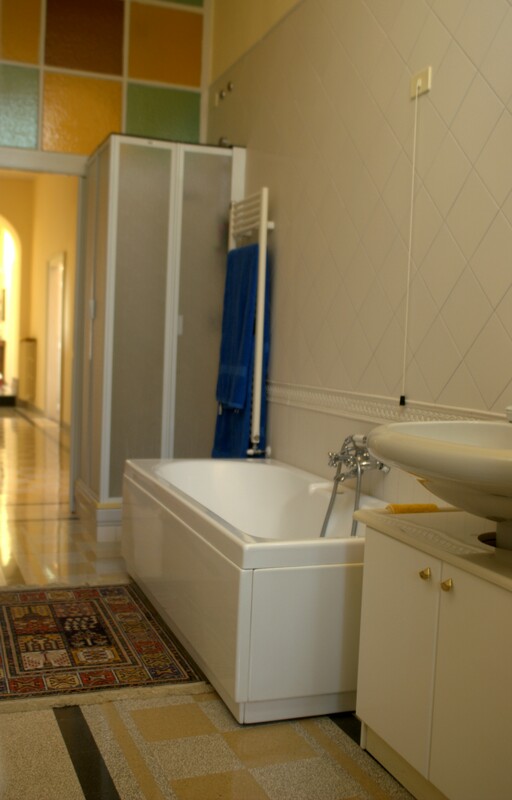 The palazzo apartment provides a fantastic base from which to discover not to be missed places such as Assisi, Spoleto, Spello, Orvieto and Perugia – all within 40 mins. drive away and the wonderful wine areas surrounding Montefalco. Lake Trasimeno and Cortona,Tuscany within 1 hour. Todi is located 5 minutes to E-45 Superstrada close to all Umbrian destinations, and the A-1 Autostrada del Sole to Rome (1.5 hours) and Florence (2 hours), making it that perfect location to explore central Italy and all its rich cultural heritage. The Etruscan town of Todi is placed on top of a hill dominating the Tiber River and its valley and is a flourishing Umbrian centre where quality of life is considered as the best in the world and was given this prestigious title some years ago. Many classic Hollywood films have been rolled out in this famous Piazza. Todi is the home town of medieval Italian poet Jacapone. Todi boasts three beautiful churches, its Duomo in the piazza, Jacapone's church of Sam Fortunato and the beautiful Basilica of Santa Maria Consolazzione. 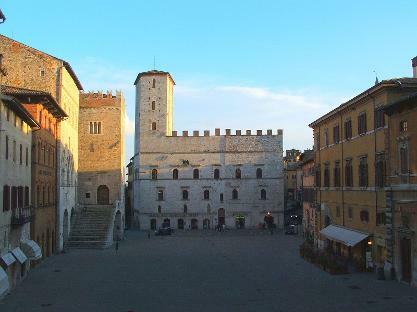 You will be amazed by its beauty - Todi's piazza is classed as one of the finest in Italy and boasts two palaces, one a museum exhibiting fine art and antiques. There are many fine bars and restaurants to choose from and the many craft shops will be a delight. Todi hosts a very busy events calendar and all through the summer months many varying events take place such as craft and prestigious antiques fair in April, Todi in Flower in May, Todi Tango Festival in June, international hot air baloon Grand Prix in July, alfresco concerts under the stars during August, Todi Arts Festival in September, live theatre and shows throughout the year. 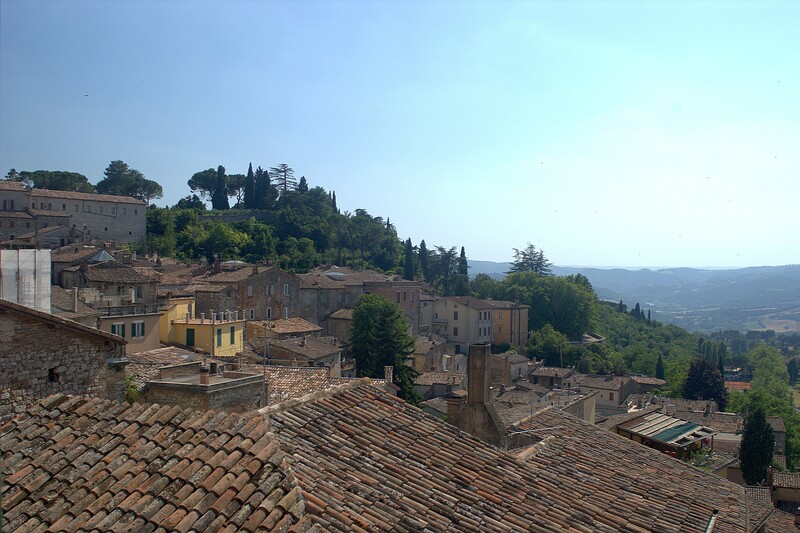 Take a walk around Todi and take in the medieval air and experience the magnificence of the architecture, the churches, the palaces and take in its ambiance.